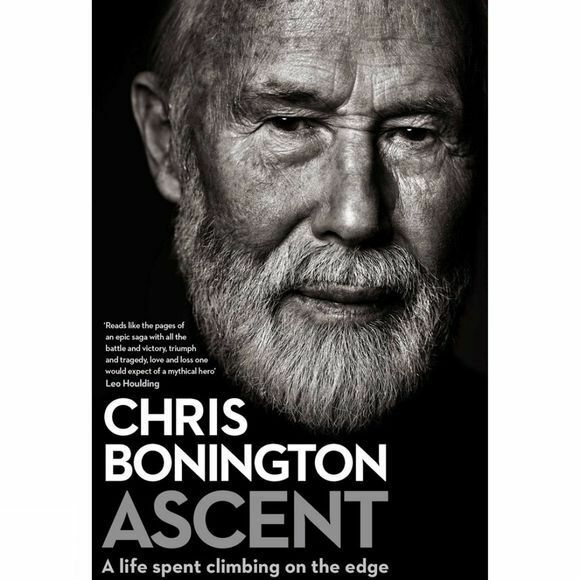 Sir Chris Bonington's memoir Ascent charts not only his many triumphs in the climbing world - such as the Eiger, and the Himalaya - but also the struggles he has faced in his life bringing up a family, and maintaining a successful and loving marriage over the decades of travelling the world to conquer mountains. Be fascinated by his many daring climbs, near-death adventures, and the many luminaries of the mountain fraternity he has climbed with, and in some cases - witness their deaths on the rock. The mercurial Dougal Haston; the legendary-tough Don Whillans, the philosopher of the rock Stephen Venables, and the enigmatic Doug Scott, plus many more - this is an expert's opinion on the past sixty years of British and world mountaineering. In Ascent Chris also discusses his first wife (Wendy) who tragically passed away after a long battle with motor neuron disease - his many years of caring for her, and then in his twilight years deciding to return to an iconic climb from his past - The Old Man of Hoy - to summit at the age of 80 years of age. He has now also found love again amidst the sadness and grief. A truly inspirational tale. This is not only a narrative on what it takes to conquer fear and develop the technical skills necessary to climb the world's greatest peaks, or what it is like to survive in places no human being can ultimately reside in for longer than a few months at very high altitude, but also how one overcomes emotional obstacles and rediscover what drives us on to happiness.